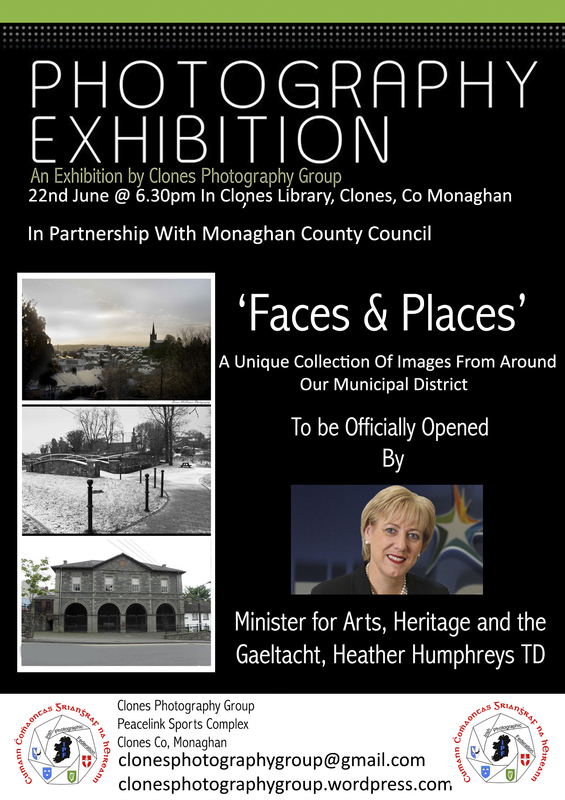 Clones Photography Group are very excited to announce our first exhibition, to be opened by the Minister for art, heritage and Gaeltacht Heather Humphreys. The exhibition them is ‘Faces & Places’ of our Municipal district and will be a unique collection of images. The opening date is the 22nd of June 2015 @ 6.30pm. 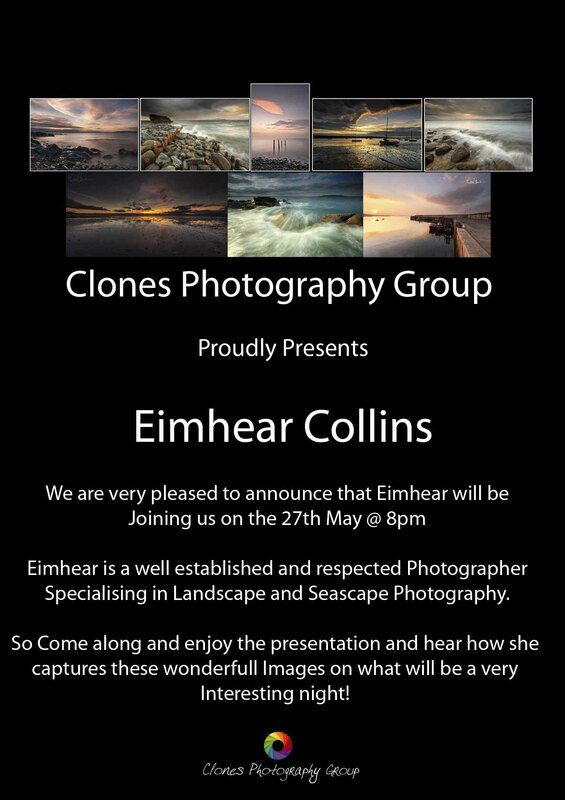 The committee at Cpg are very excited to announce that we will have a presentation of images and talk by the very talented Eimhear Collins at our May Club Meeting. I personally have been a massive fan of Eimhears work and im sure once you check out her website and Facebook page you will see why! A packed house is guaranteed for this one so make sure you have a seat! Hello world, Welcome to our club website!